Whilst trying to think up a different way to welcome you back to I.N.K., I thought you might like to hear a secret inside writing tip from a famous editor. She once told me that when writing nonfiction books, you should begin by saying something of specific interest to your readers that cries out for immediate attention. OK……....all of your cars have been stolen. Noooooo!! That’s not right AT ALL! We actually DO have news you can use this season—a new series of blogs that are of specific interest to you. 1) Every month except this one, a single blogger will discuss a specific and (of course) 100% spellbinding new topic that showcases the very best nonfiction books in a particular category. And at the end of each month, a list of these books will be compiled and posted in a permanent Recommended Book List on its own page. BUT! In hopes of starting September off with a bang, each of our bloggers will write about this season's first recommended-books topic: Life-Changing Nonfiction: Past and Present. This month you’ll discover all kinds of surprising tales about nonfiction books that actually changed our authors’ lives when they were kids. Then each author will spotlight newer books related to the ones they loved before. And beginning on September 30, all of these books will be posted in our Recommended Book List. 2) In October, we've decided to devote each of our posts to the Common Core State Standards. Since we’re all so incredibly different from each other, everyone will present a different take on this subject. Look out for just about anything, from highly specific lesson plans to scholarly contemplations of a particular CCSS standard to discussions addressing educators’ concerns about implementing and testing these nonfiction standards in schools. So please be sure to chime in. Uh-oh. Now I’ve just about filled my allotted space and I still have to talk about nonfiction I used to read as a kid that changed my life. Right now I can conjure up a whole armload of fiction that I loved back in the day, but nonfiction? I must be reeeeallly ancient because the only nonfiction we ever read in the olden days was a bunch of atrocious book report bios that were dry as dust and full of lies and platitudes about famous people. Unless you include the World Book Encyclopedia, that is. I cannot tell a lie - I actually used to sit around and memorize it, even as a young kid. And I particularly loved the pictures; a certain complicated painting by Pieter Bruegel the Elder come to mind, as do some hideous cars of the future, cutaway views of sailing ships, photos of tropical fish and tarantulas, flags from around the world, and the later transparent plastic overlays that showed what’s inside the human body. When I was in elementary school, I used to press autumn leaves inside the appropriate pages, and that started a trend of mine. Before anyone could use the internet but while I was making my living as an illustrator and then as an author, I used the encyclopedia as my filing cabinet for storing thousands of the very best images and published material I could collect as research for anything—ANYTHING—I might ever want to draw or write about. All that stuff I collected is generally a whole lot more useful than most things I need to wade through online because my collections were so selective to begin with. How We Crossed the West: The Adventures of Lewis and Clark. I used a zillion sources as research for this book, just like the World Book Encyclopedia did. Besides the words I wrote, the encyclopedia also taught me to make sure every picture I painted was as accurate as humanly possible—the famous faces, the soldiers’ uniforms, the different ways the Indians dressed and the dwellings where they lived, the ever-changing scenery, the explorers' wintertime fort, everyone’s different weapons and boats, and all of the wildlife along the way had to be just right. OK…..that’s my small contribution to the list. Now I’m done, and we all hereby place our hands upon our hearts, salute the flag, and cordially invite you to stay tuned. 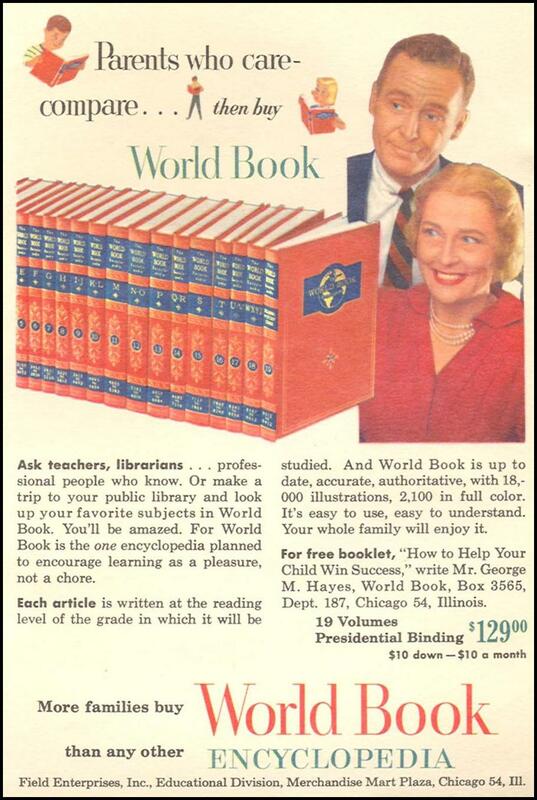 I can't recall reading much nonfiction as a child either, but I sure loved my Grandmother's encyclopedias. They were in her bedroom, and when we were kids, we would spend hours reading them. I still adore reference books of all kinds and encyclopedias, even on the Web. With the hard copy books, there was such magic to just opening the page and starting to read. 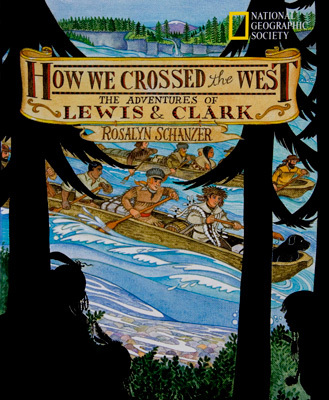 I look forward to reading your Lewis and Clark book, as well as checking out the upcoming CCSS posts in October. We had a set of Funk & Wagnalls encyclopedias when I was growing up. To this day, when my mom doesn't know the answer to something, she jokes, "Look it up in your Funk & Wagnalls." My grandparents got National Geographic and I used to love to look through those magazines while enjoying the other magic thing in their home (and not mine)--ginger ale. This is greatly needed. The average American child spends less than 4 minutes a day reading nonfiction. (Ed. Leadership, Dec., 2012). Roz, I read the encyclopedia, too...we had the World Book set. And we looked up words in the dictionary on a regular basis. I still can't bring myself to part with the old dictionary my father gave me, though I never use it. I read the encyclopedia too. My family had two versions, my parents had one set (World Books) and my grandparents had the other (Encyclopedia Britannica - I think that was the name). I loved to cross reference a subject by reading both. I also devoured biographies, from scientists to historical figures to actors - especially comedians. Thanks Roz for opening INK's new season so beautifully.